Four circular hardstone discs, each with a round hole cut to the centre, leaving apertures of varying widths. The largest jade bi disc has flattened surfaces; the stone is of rust-brown tone. 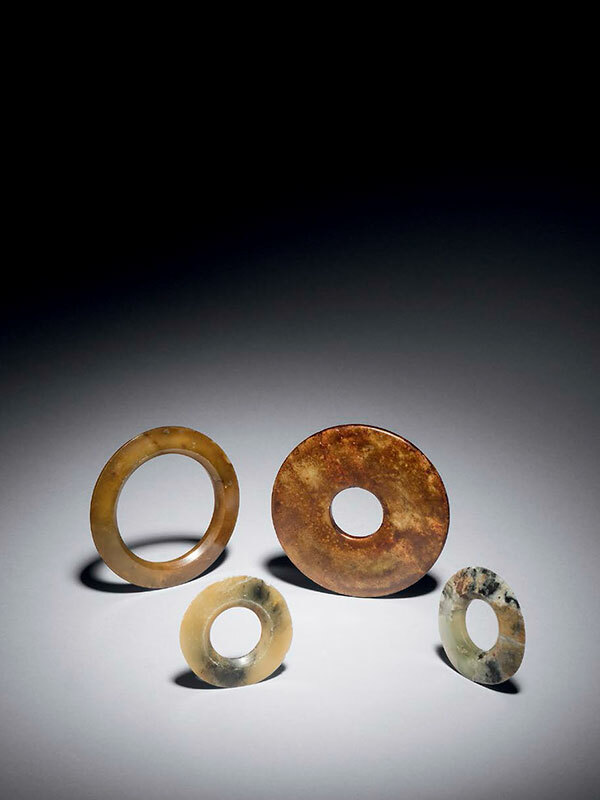 The inner edges of the three agate rings are formed as two facetted planes, with their surfaces gradually terminating into pointed outer edges. The stones are translucent in some parts, respectively in brown, yellow and celadon colours with some areas in smoky brown and black tone. All the surfaces have been smoothly polished, with some traces of calcification.